Sberbank plans GDRs by June and eyes more acquisitions. Russia's top bank Sberbank may issue Global Depositary Receipts (GDR) by the end of June to increase liquidity of its stock ahead of privatization of a central bank stake, its head German Gref said during a conference call late on 23rd of March. "This Monday we asked for proposals from depositary banks, which is the first stage of issuing receipts. It gives us an opportunity to choose a depositary bank in April. The whole issuing procedure would take no more than two months," said Gref, adding the issue might be completed by the end of June. On March 22, the National Banking Council permitted the central bank to sell up to 7.6% from its 57.6% stake in Sberbank as part of the country's privatization program. The sale will start after the government gives its approval. 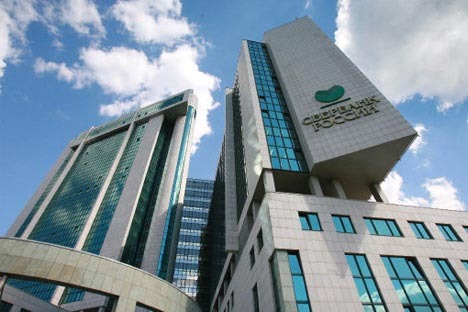 Gref has said Sberbank could float the shares in the second half of 2011 and the size of the stake would depend on market conditions. "We hope for a significant increase in the liquidity of our shares - this is the first step to privatization," he said adding that Sberbank had planned to sell the bulk of the 7.6% stake to foreigners and had already started to look for anchor investors. Gref also said the bank was considering purchasing assets in Eastern Europe in 2011. "I do not rule out deals on the Russian market and in Eastern Europe this year related to purchasing small platforms which would serve as the basis for further work," he said adding there were no ready deals yet. "At this stage entering markets and gaining experience for effective work of the group and digesting pieces of business we have today are important for us." The bank is also interested in assets in Asian countries and India, he said. Sberbank has long been seeking options for foreign expansion. It has bid for 20% in Turkey's Garanti bank and considered swapping assets with a large foreign bank but both deals flopped. Market rumors now say that Sberbank is buying Germany's Volksbank and a number of Turkish banks. Gref said that Sberbank, which is now buying the country's leading investment house Troika Dialog for $1 billion to develop investment business, is also considering buying a bank which would provide it with point of sales (POS) crediting business. "We see large potential on this market," said Gref.